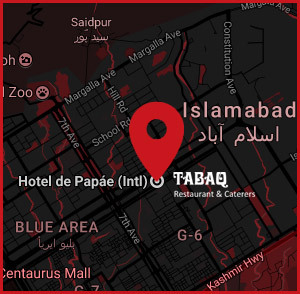 One of my favorite restaurants in Islamabad. Best high quality fresh clean desi food hands down with very calm and comfortable ambiance that makes the dining out experience even better. It's a relatively undiscovered gem in the heart of Islamabad. The staff is professionally mature so you can expect the same high end service every time. I highly recommend it to everyone that craves good food with good service. Their food quality, ambience and attention to detail is awesome. On my insistence, the manager of the hotel showed me the kitchen, and it was jaw dropping clean. Clean, tidy and a very good environment. Should venture into Roof top Barbeque. Way to go!! !